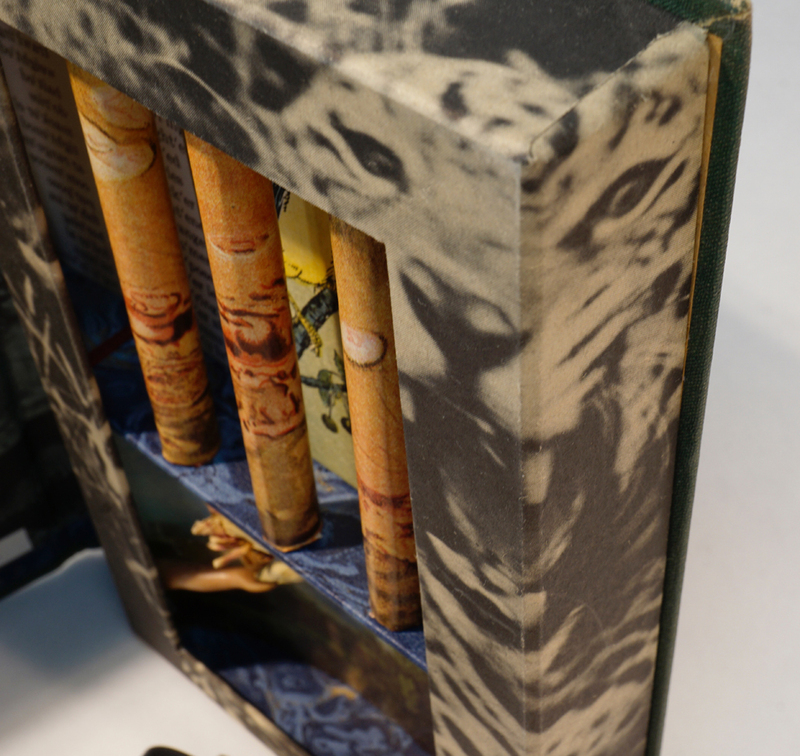 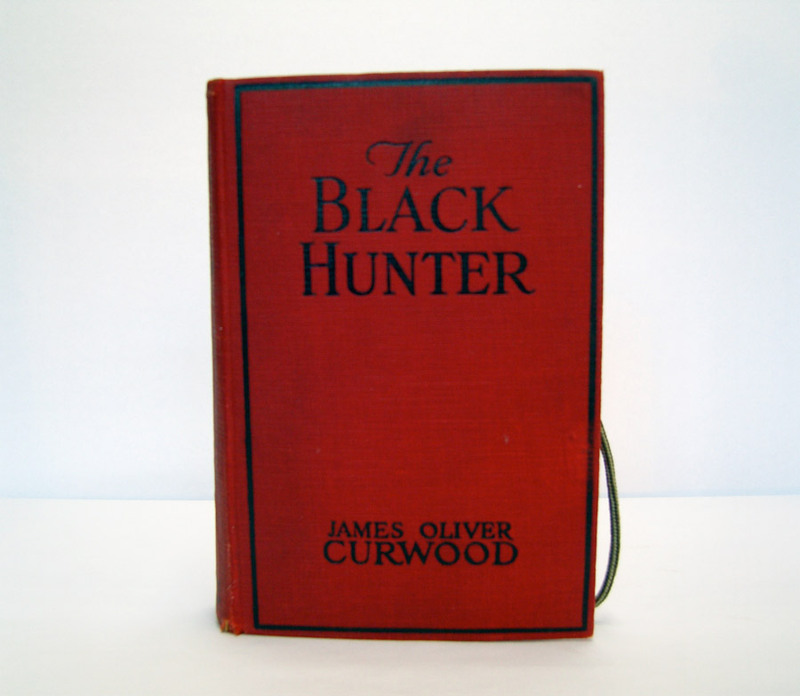 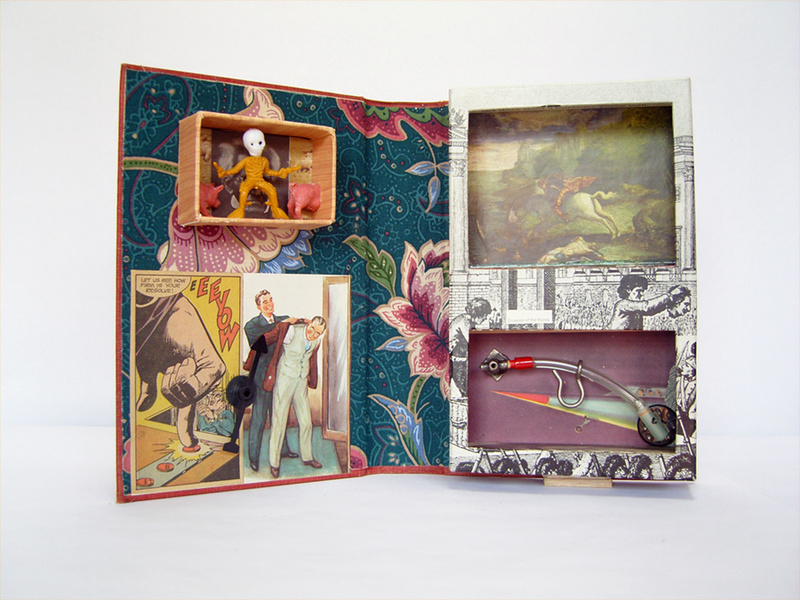 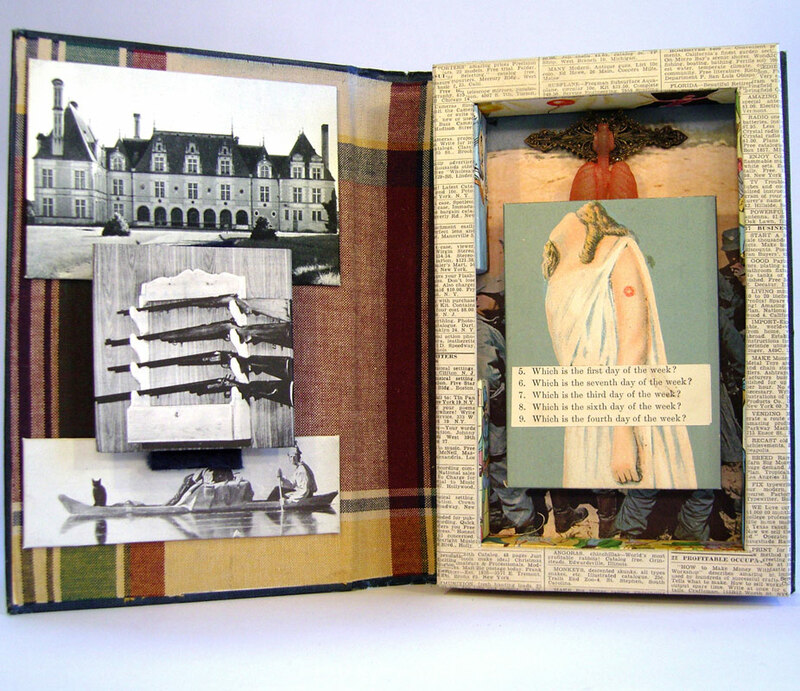 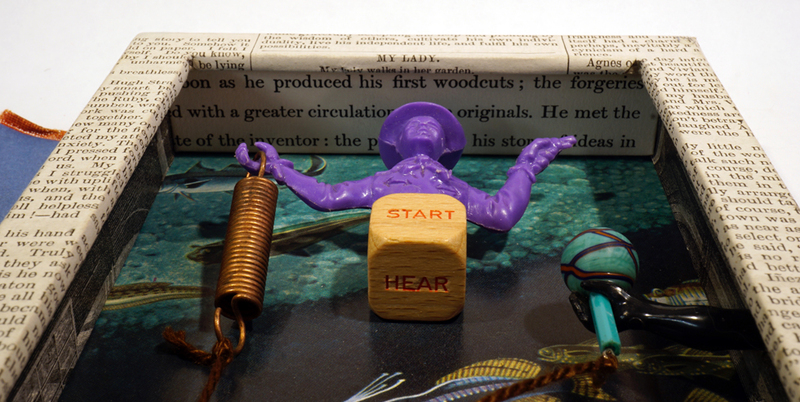 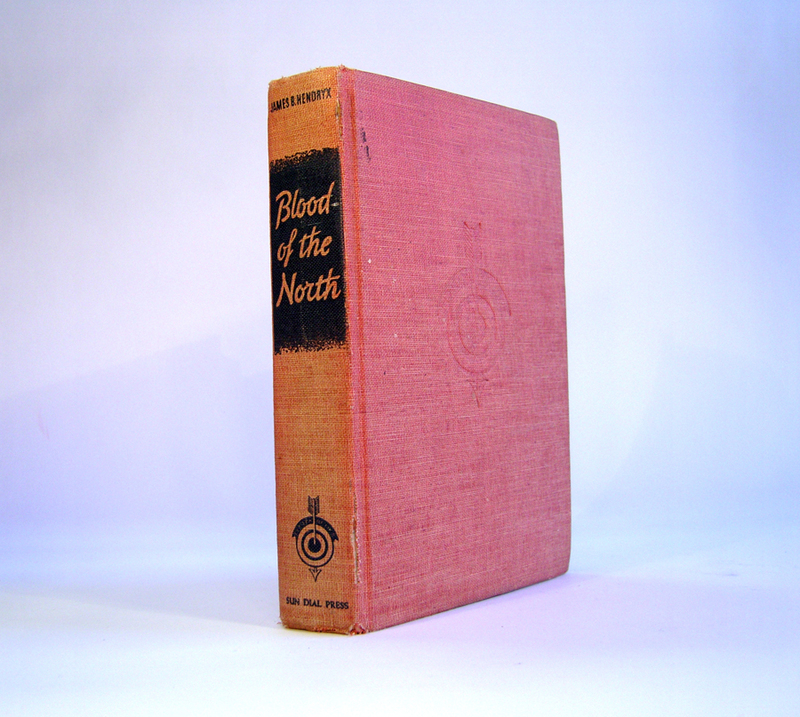 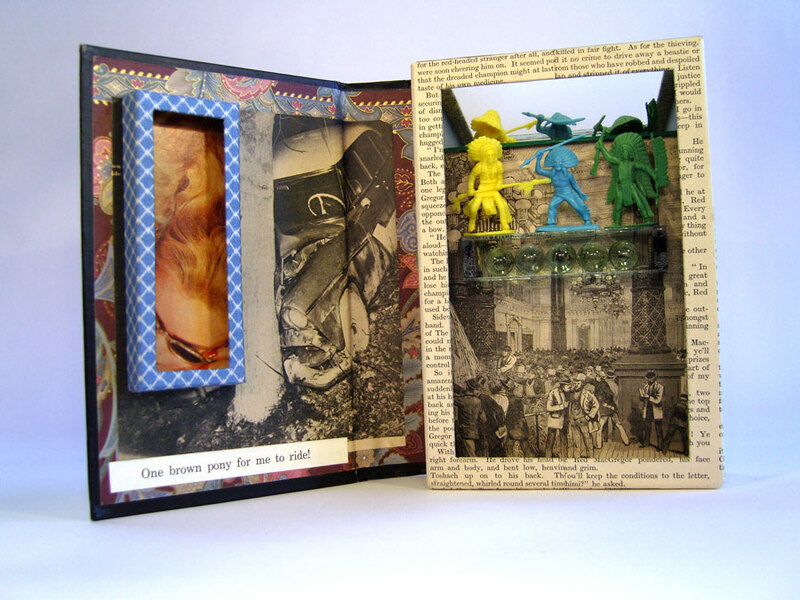 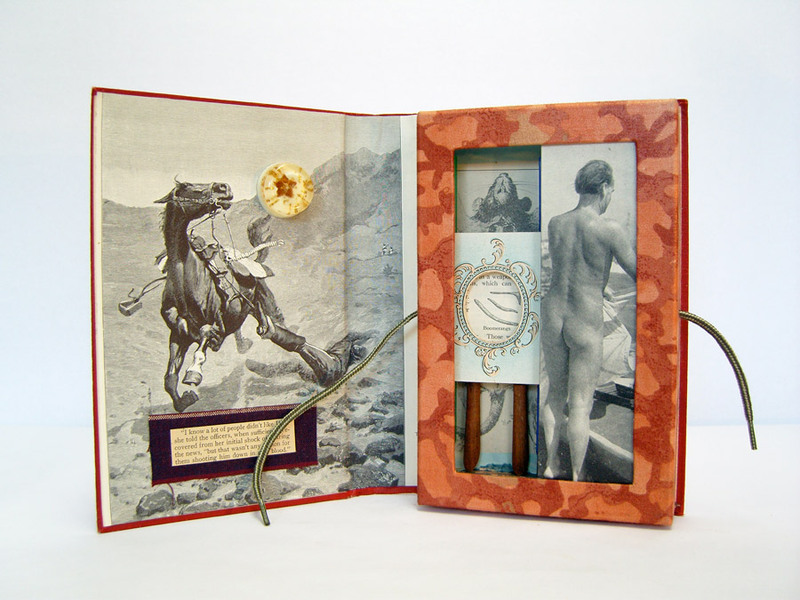 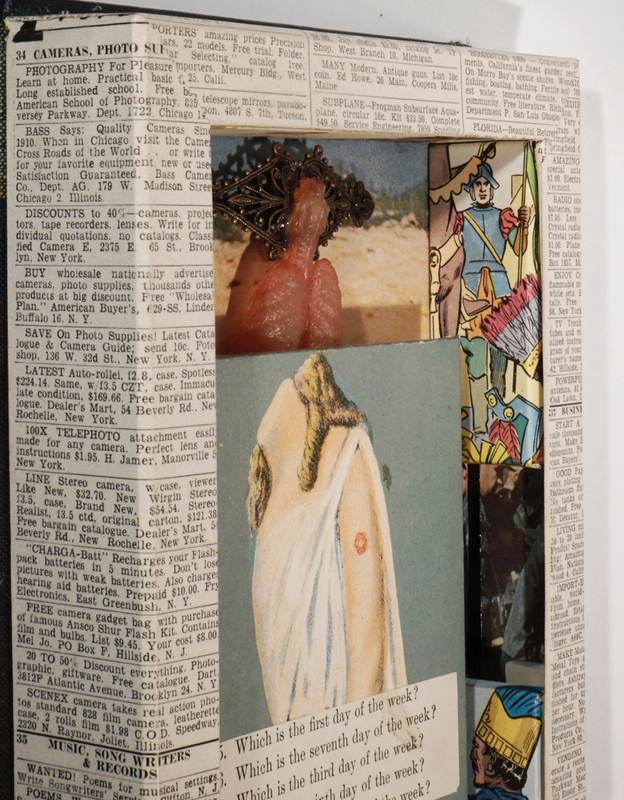 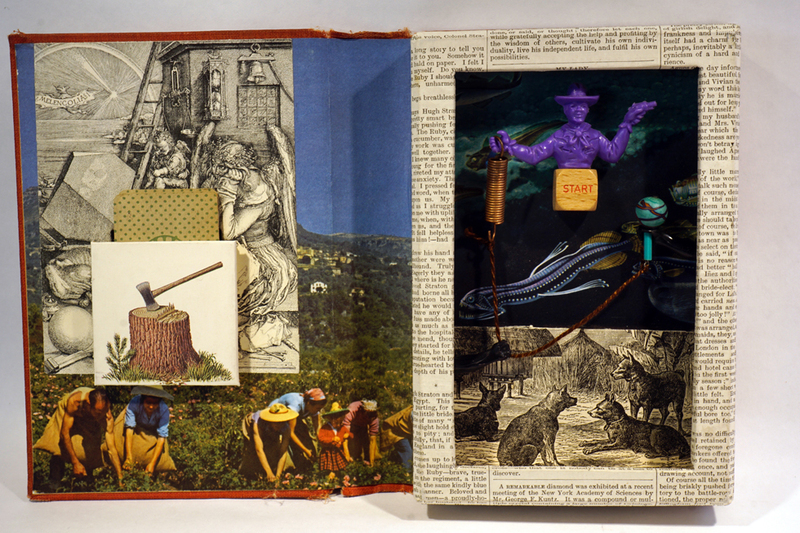 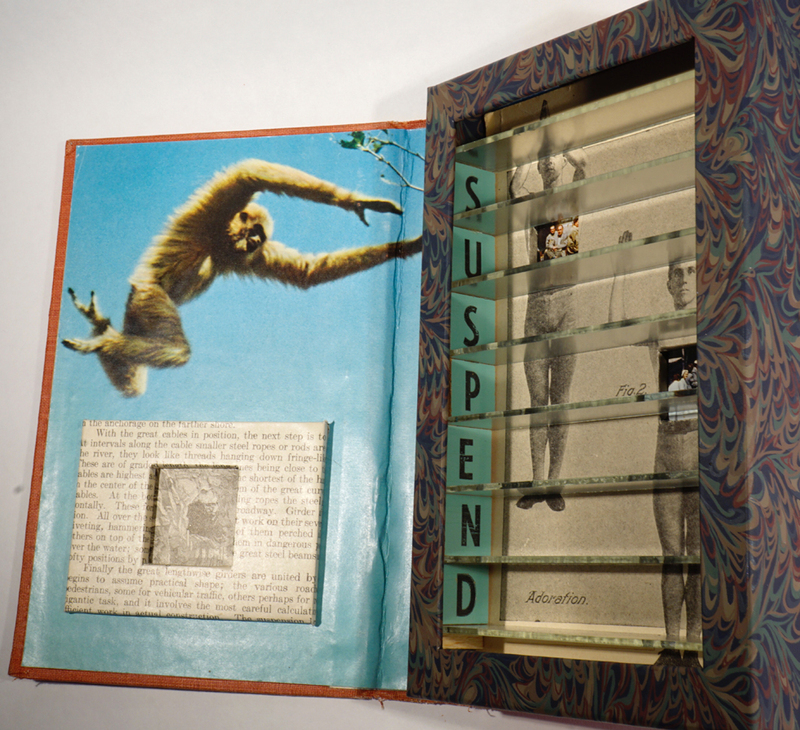 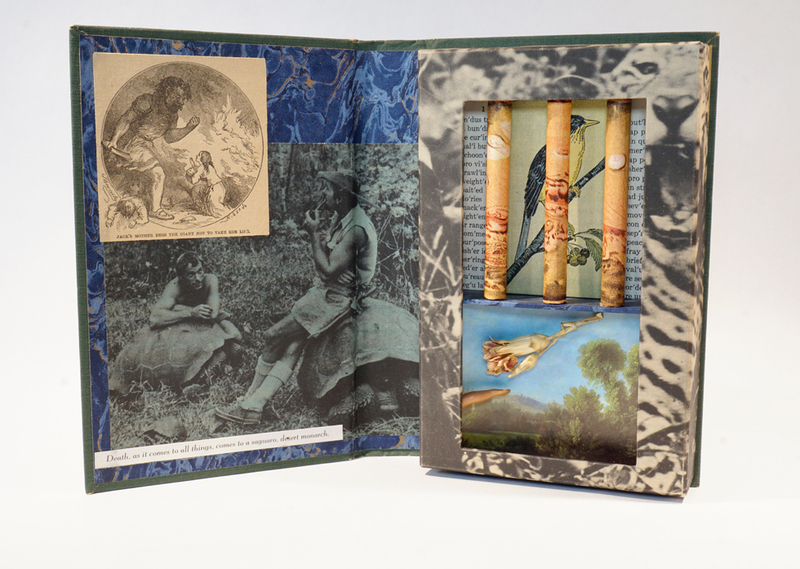 The following images are examples of my altered book art assemblages. 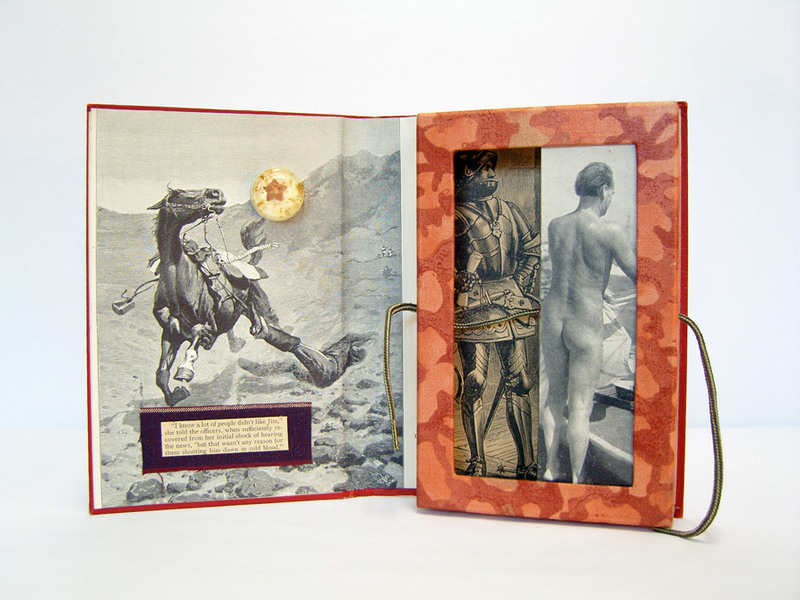 I selected a variety of full-open photos, details at revealing angles, and a few of the original covers within which they are contained. 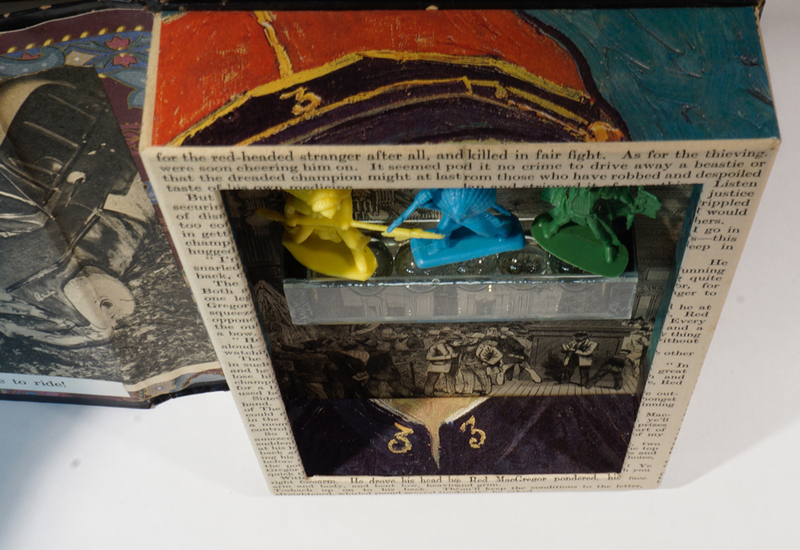 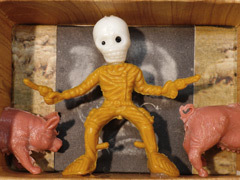 These pieces are meant to be viewed as you would read a book so there are limitations in what photographs can reveal.